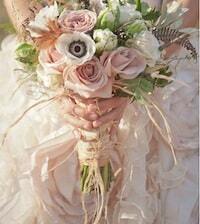 A beautiful ribbon is the perfect accent for a beautiful bouquet. 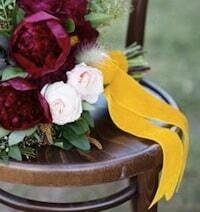 I have been collecting creative ideas for ribbons from the simple to the unusual. 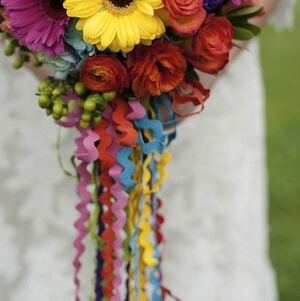 A ribbon can add a pop of colour where your flowers cant. 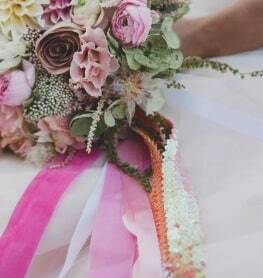 Weddings over winter can have fewer flower choices so why not stick to a simple palette and bring your colour in with some ribbon. 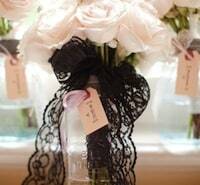 Lace is a good option, A soft white cotton or a more glamourous black. 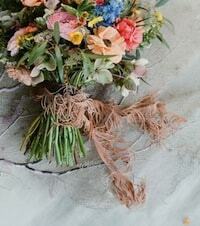 If you are crafty consider customising, cotton lace can be dyed or ribbons embellished with embroidery. 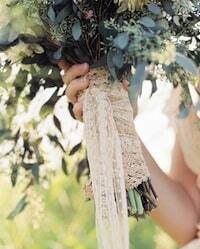 I am loving this idea, a piece of fabric wrapped around the bouquet. The perfect excuse to buy a LV scarf? or see if there is one that belonged to your Nana. 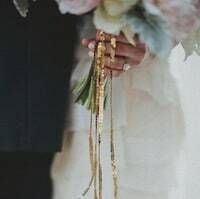 The best fabric shops have gorgeous silk prints and using a print can bring some complexity over a solid colour ribbon. Ric rac is a cute option. 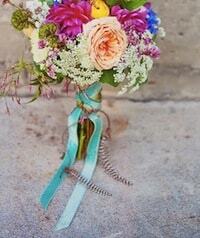 It works well mixed with other ribbons. 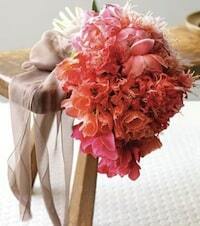 Here are some more unusual. 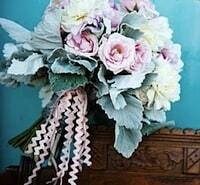 Pom pom braid, feathers and even fringe. 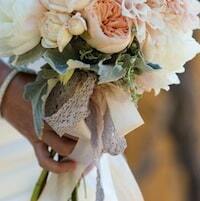 This entry was posted in Blog, Flowers, Ideas for brides, theme ideas. Bookmark the permalink. Bridal show – Meg’s dress gets another outing.